It is undeniable that when you have a special talent such as singing or playing guitar, it is easy to attract people. Hence, nowadays, a lot of people try to learn at least an artistic talent. And playing the piano is a commonly preferred subject. When we just put our very first steps on this hobby, a good-quality keyboard is indispensable. If you are a new player and have a limited budget for it, Casio CTK 6250 is our recommendation. Casio has never failed to satisfy its customers. And this Casio CTK 6250 is a clear example. 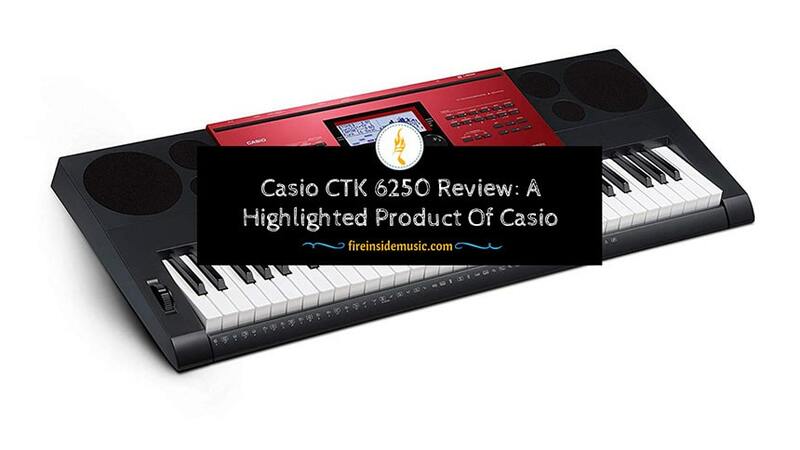 Please keep scrolling down and reading this Casio CTK 6250 review to have a better understanding of this brilliant product. Include a wide range of built-in digital effects such as chorus, reverb, DSP including rotary, phaser, delay, flanger and more. The song sequencer offers 16 tracks and one system track to assist in recording up to 5 songs and has a total of nearly 1200 notes. Interestingly, it can record multiple tracks with one for each musical instrument. What is more, Casio offers multiple choices of editing tools such as event delete, quantize, event copy, event insert and more. Final recordings can be converted to Standard MIDI format and saved in the SD memory card. Rhythm Editor is in charge of combining instrument parts from adjusting volume, reverb, parameters, pan, multiple built-in rhythms or turning on/off the individual instrument parts. 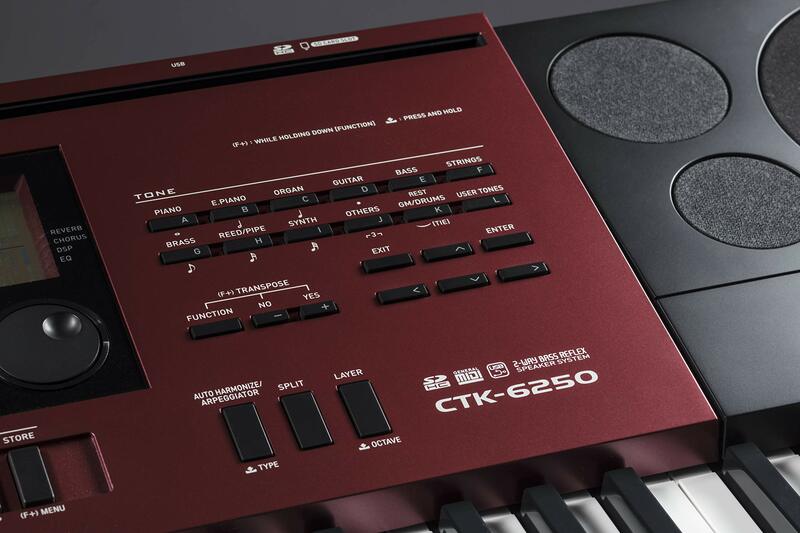 Casio CTK 6250 offers built-in effects including chorus (5 types), DSP (100 types) and reverb (10 types). You can easily create the sound you want by applying distinct effects. In terms of the equalizer, it incorporates five frequency characteristics including “Powerful” with a stress on volume and “Bright” which emphasizes the treble range. Interestingly, this Casio keyboard provides 150 distinct arpeggiator types. Thanks to the arpeggiator, players can play phrases automatically and arpeggios by pressing keys on the keyboard. Casio CTK 6250 synthesizer comes with the AHL sound source which is in charge of reproducing the original waveform’s natural smoothness. It is pre-programmed with acoustic musical instruments’ digital samples recorded by the most advanced digital technology. For the sake of convenience, AHL sound also provides a lineup of 700 distinct built-in tones so users can freely store up to 10 original tones for instant recall. Furthermore, its 210 preset rhythms contain a broad selection of musical genres such as jazz, rock, latin, pops and more. Casino carefully engineered and designed it to deliver a realistic piano experience. It also has a total of 305 presets. 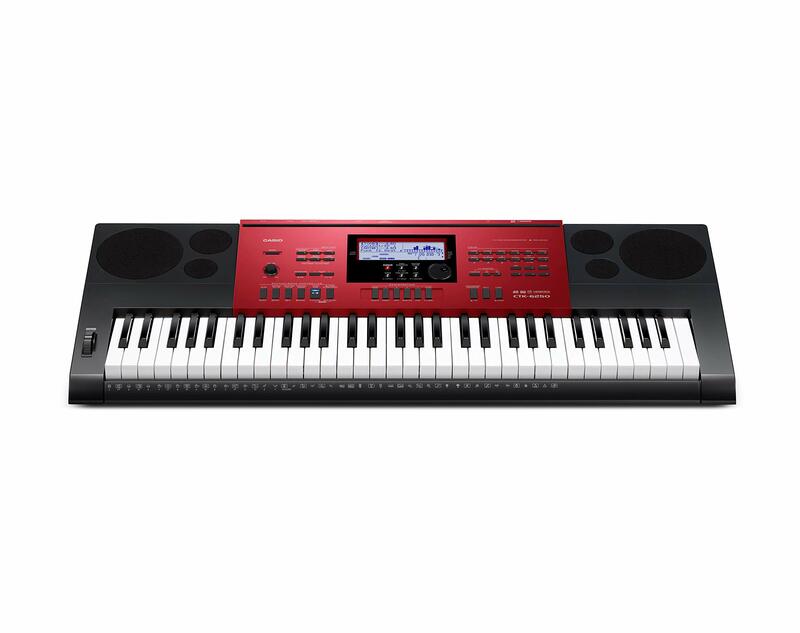 As a result, you could easily configure the keyboard for a variety of distinct musical styles. 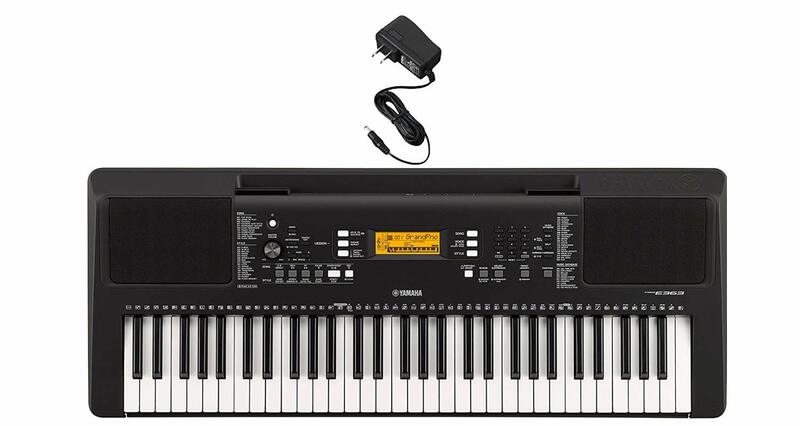 Casio CTK 6250 is a perfect option for both beginners and advanced players. There is no sharp-tongued when saying it is the best keyboard under $200 price range. Investing in a CTK 6250 is a smart investment as you can use it for many years no matter which level you are in. The majority of learners finds it highly beneficial with its piano style, natural piano sound and touch sensitive keys. For advanced players, they enjoy the variety of customization options which easily done by the built-in digital effects features and tones and editor rhythm. There are a couple of reasons why most players choose Casio CTK 6250. It possesses hundreds of tones and effects which are an excellent improvement from the older versions, a wealth of digital effects, brilliant sounds and rhythm editor, graphic equalizer, virtual multi-track recording studio, touch sensitive, convenient USB port and SD card slot. Moreover, it is extremely portable as it only weighs 12.5 lbs. CTK 6250 is a skinny version of its brothers and sisters. Also, it is truly comfortable for the player to carry it from home to school. However, everything has its pros and cons. And this CTK 6250 isn’t an exception. What disappointed us most is that there is no microphone support as well as the lighted key. Hence, it is uncomfortable when you can’t sing along to the music. 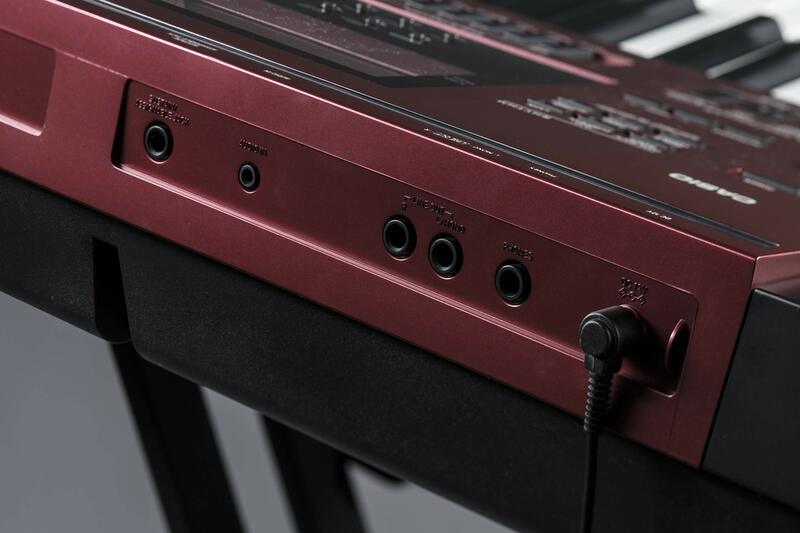 For keyboard players, Casio and Yamaha are no longer strange names in the keyboard supplier market. 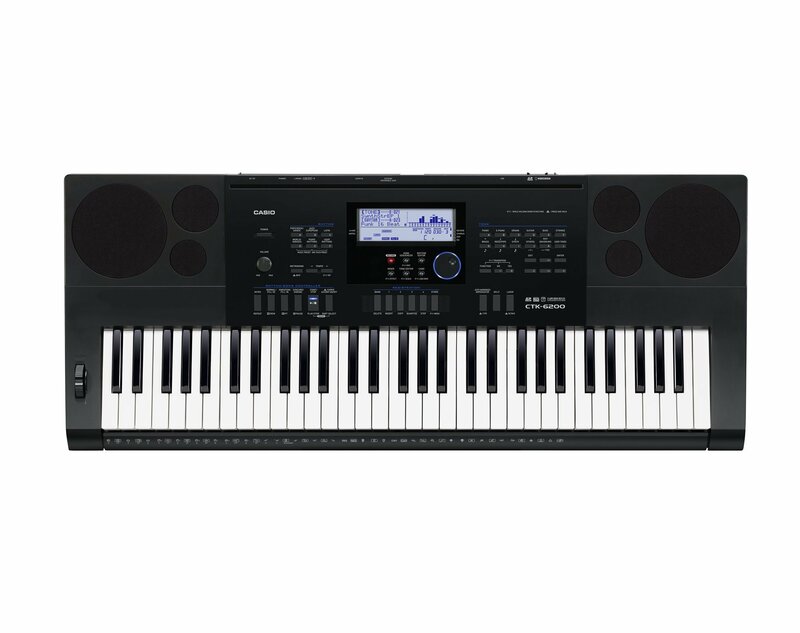 If you are wavering between Casio CTK 6250 vs. Yamaha PSRE 363, below is a detailed comparison of these two superb products. Please have a look! Like other Casio keyboards, Casio CTK 6250 possesses a couple of learning functions. Even though these lessons aren’t as superb as Yamaha, it is still a good option for new players. 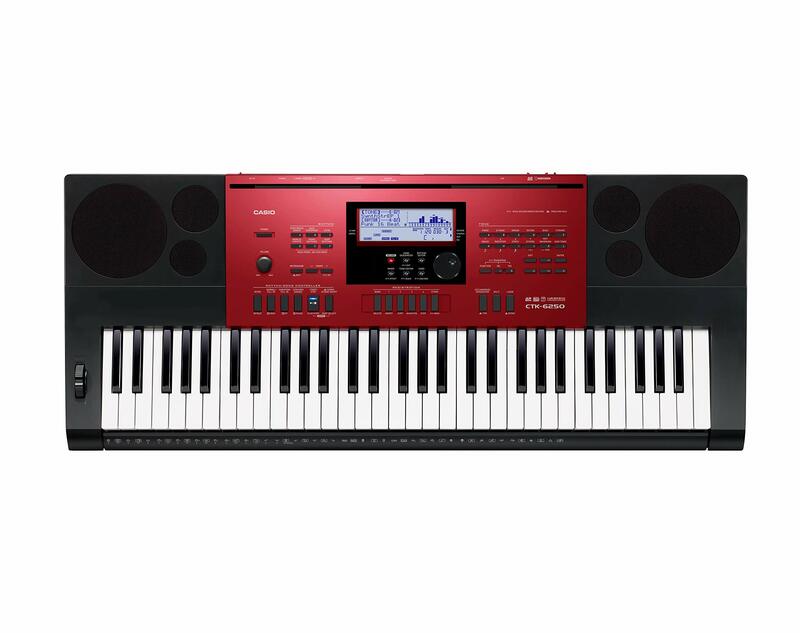 What makes Casio CTK 6250 outstanding is that it is an electronic keyboard which can connect computers and a wide range of recording devices. Hence, for tech lovers, Casio CTK 6250 easily wins their hearts. To sum up, Casio CTK 6250 is famous for sound recording, playing and using alongside computer software. This product offers three distinct lesson settings to support players in learning loads of different song effortlessly. 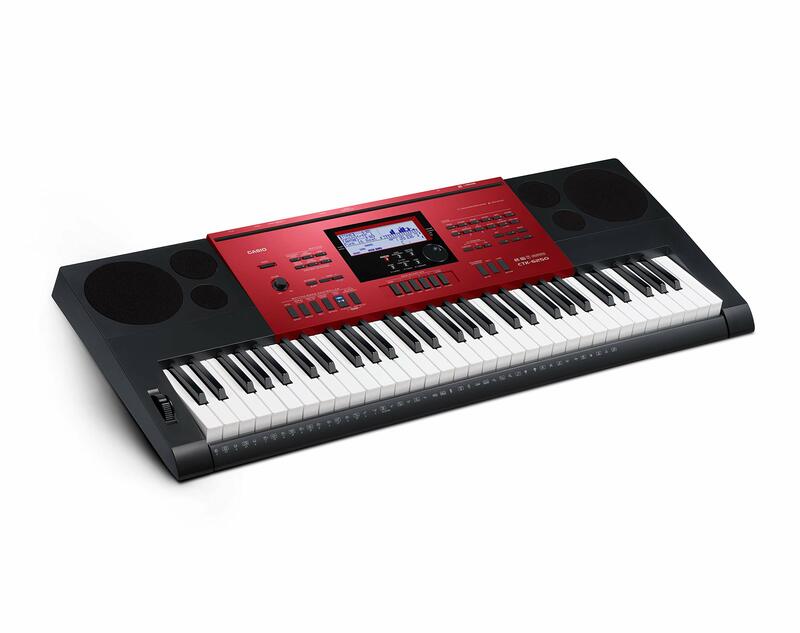 Like any Yamaha starter keyboards, it is easy to operate, equipped self-motivating feature scoring you on your performance. It also provides various accompaniment styles and instrument voices. The more you practice, the more you see its benefit. 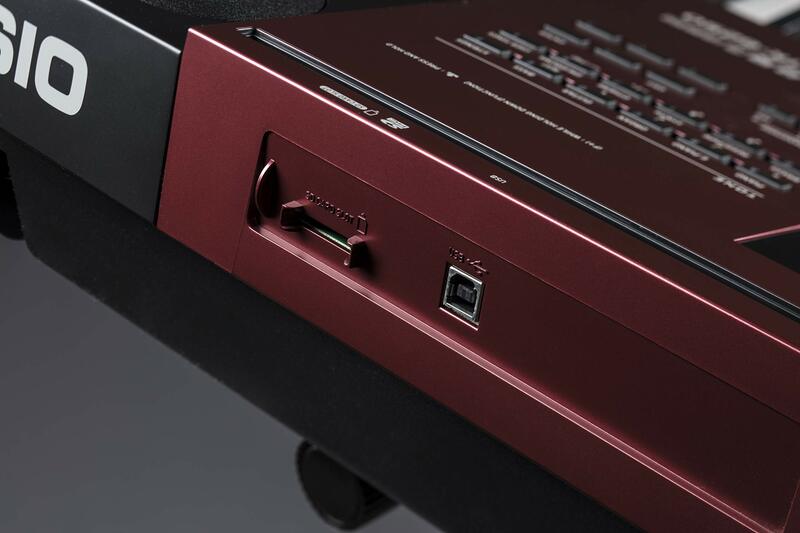 Also, when it comes to sound, Yamaha PSR E363 seems to have a more realistic sound. All things considered, Yamaha is best suited for learning, practicing and performing. When comparing two different keyboard brands, it is easy to break down the key differences. However, when we make a comparison of 2 products sharing the same brand, it is much more challenging. Especially, Casio CTK 6200 and CTK 6250 are like the twinborn. The main differences between the two keyboards are its production year and color. Q: Does Casio CTK 6250 come with microphone support? A: Unluckily, it doesn’t, which is also a big con of this product. However, it is equipped with 16 tracks for keyboard recording so you could freely record up to 16 instruments for your song. What a big wow! Q: Can this product be used as a MIDI controller? Definitely yes. Its USB port supports the keyboard in acting as a MIDI controller because it has both receive/send functions. Q:Can users connect it to their computers? Yes. This CTK 6250 offers a couple of connectivity options like SD memory card or USB port. Additionally, you can effortlessly transfer your audio data and songs through the USB port. After reading our lengthy review, we pretty sure that the question “Should I buy this product” is popping up on your brain. If you are a newbie player and want to learn rudimentary basics and proceed to songwriting, this Casio CTK 6250 is born for you. It possesses multiple recording tracks and professional sound feature. What is more, its affordable price is worth your consideration. In short, Casio CTK 6250 is a worth-buying keyboard. Hopefully, after reading our Casio CTK 6250 review, you can grasp some helpful information about this fantastic keyboard. If there is anything unclear, don’t hesitate to comment down below. We’ll reply as soon as possible. Don’t forget to like and subscribe to our blog. In the next post, we’ll introduce the Casio CTK 6200 manual. So please stay tuned! Once again, thank you for spending your precious time to read our article. Finally, yet importantly, keep calm and playing the keyboard.